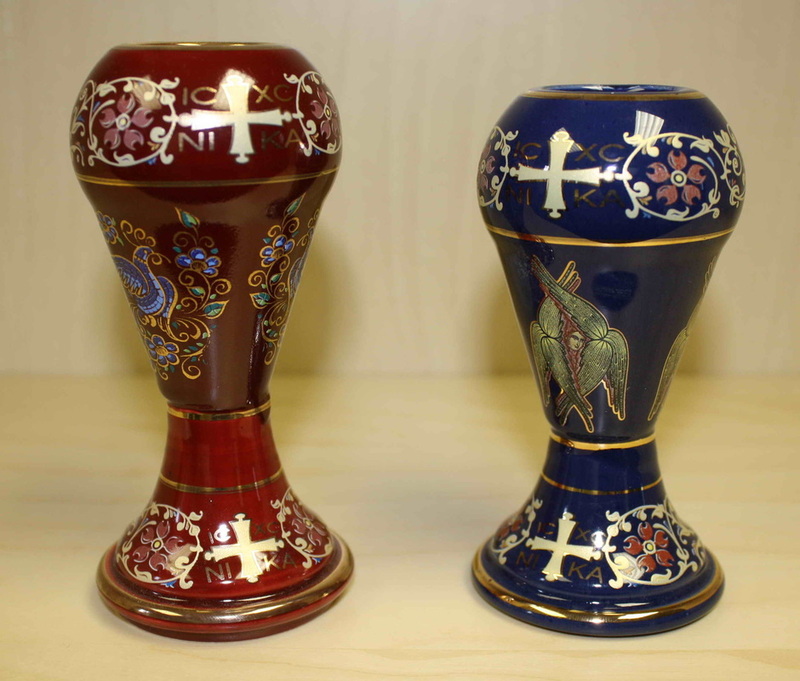 Incense Holder | SKU 81 | $8/ea. 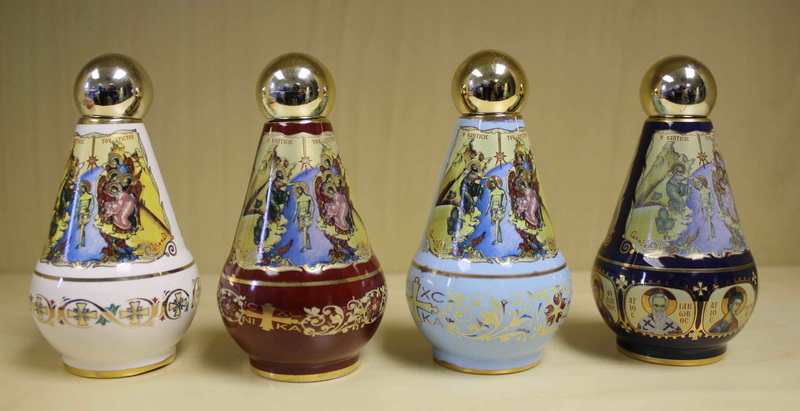 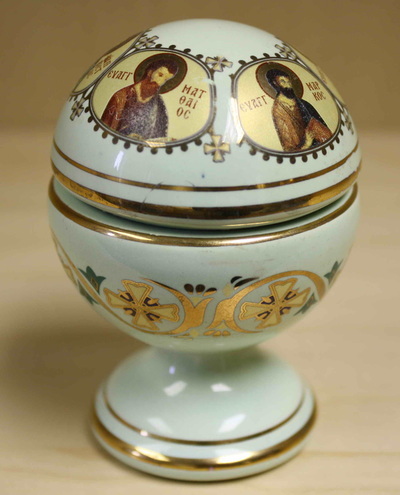 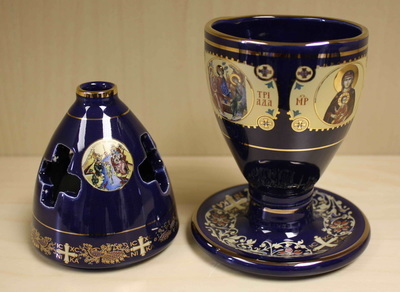 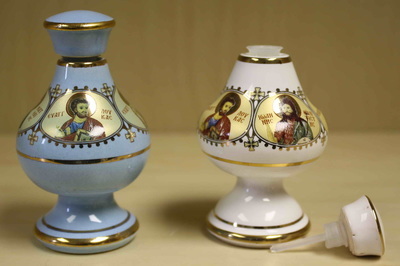 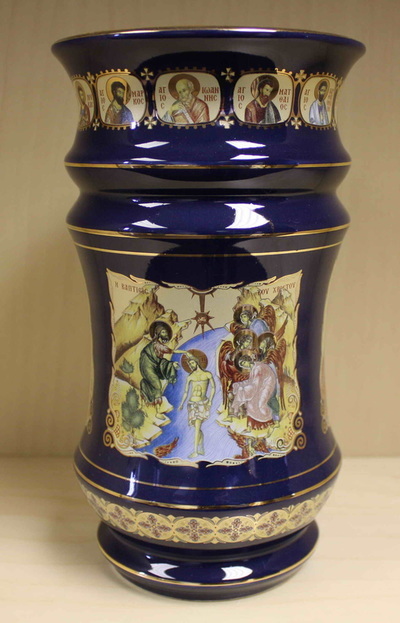 Holy Unction Container | SKU 85 | $5/ea. 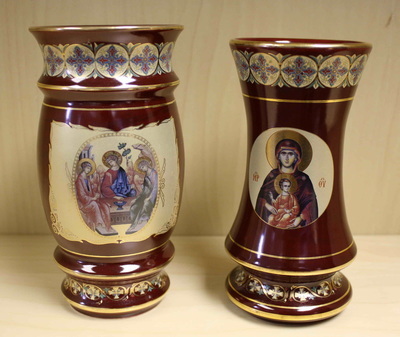 Holy Water Container | SKU 90 | $8/ea. 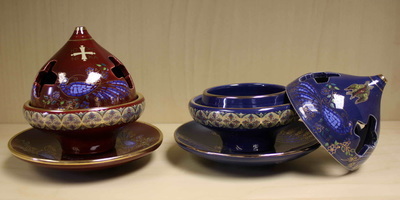 Incense Holder | SKU 96 | $8/ea. 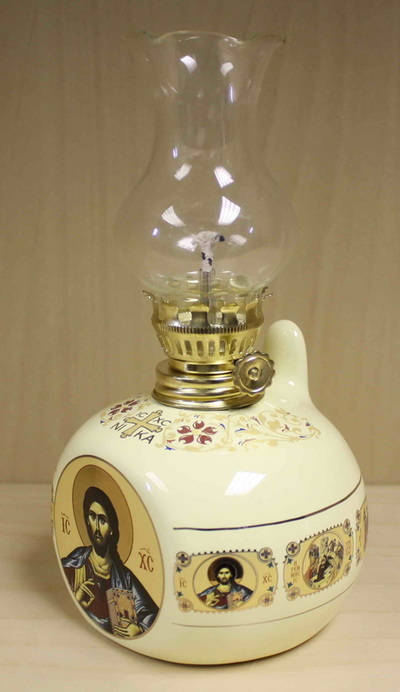 Holy Water Container | SKU 80 | $10/ea. 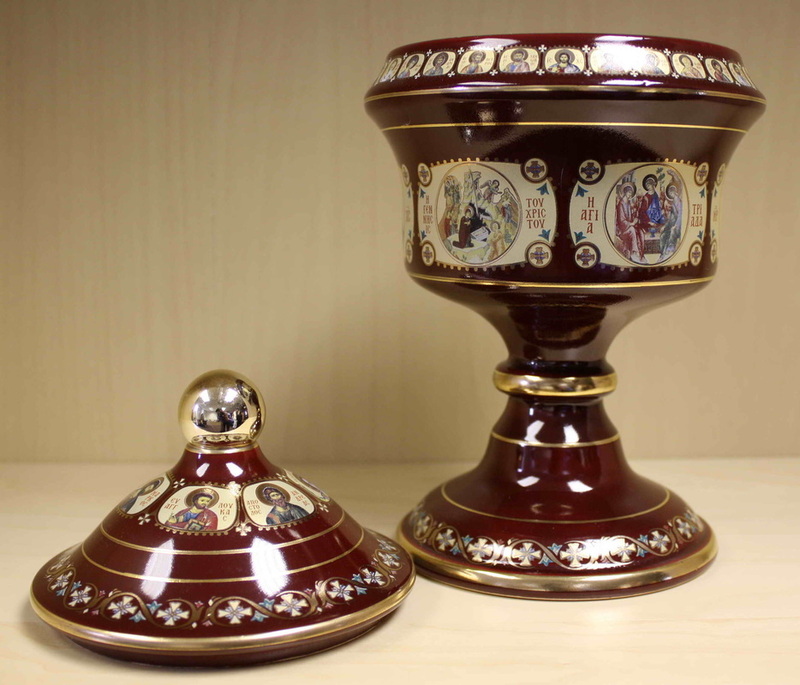 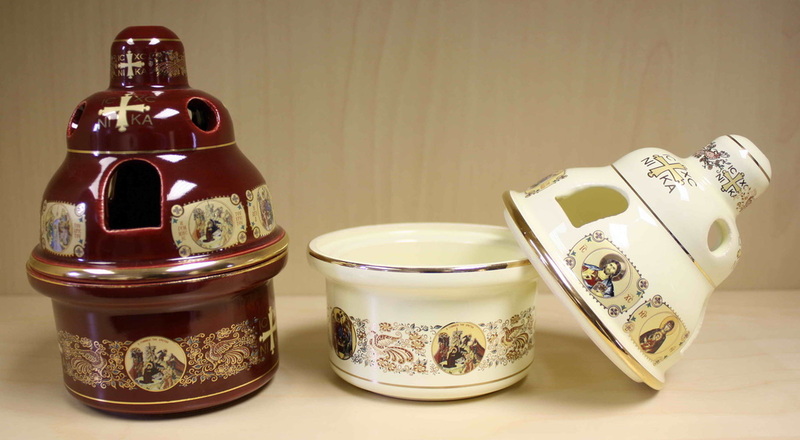 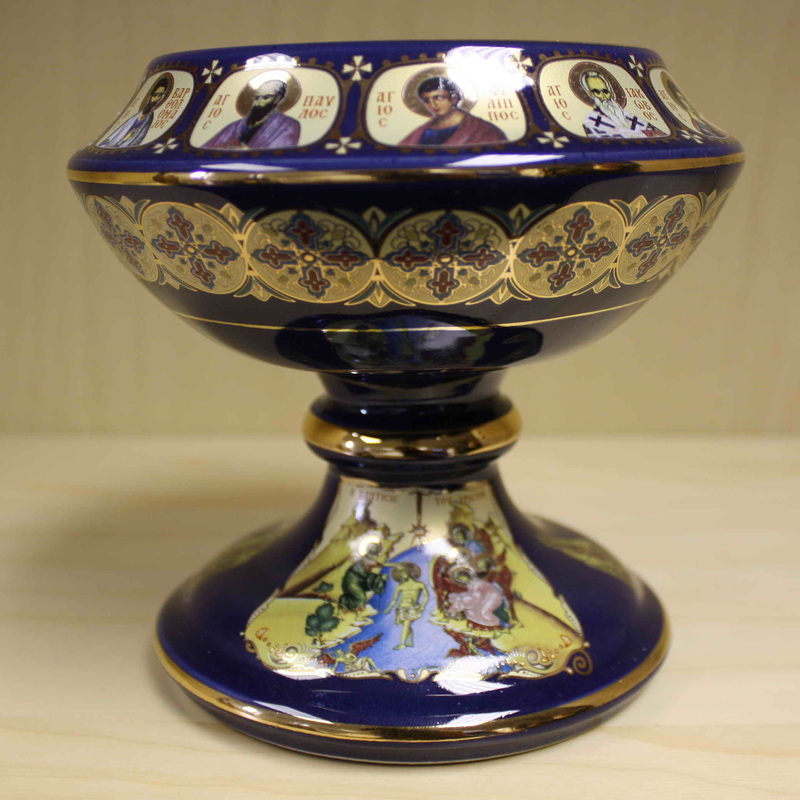 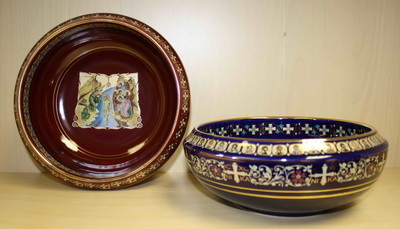 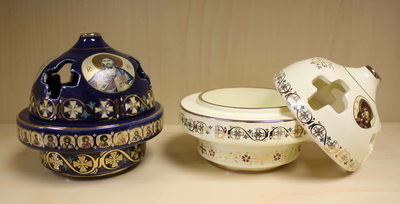 Holy Water Bowl | SKU 101 | $25/ea. 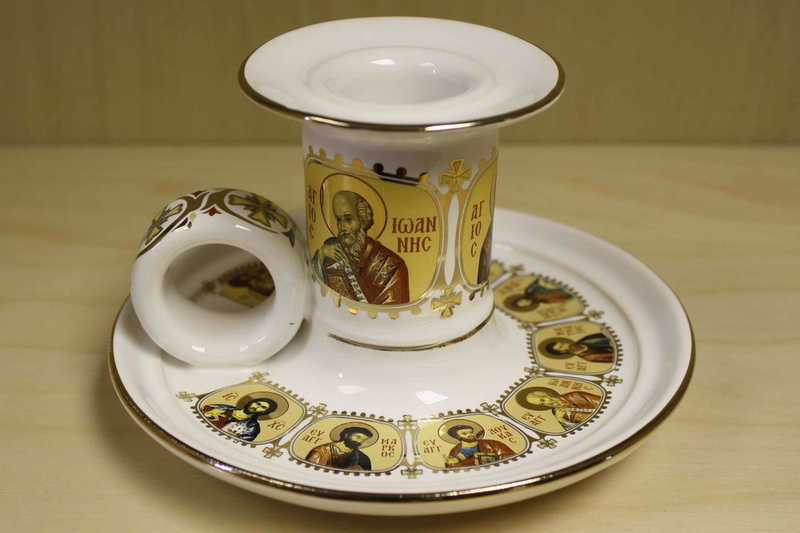 Votive | SKU 50 | $10/ea. 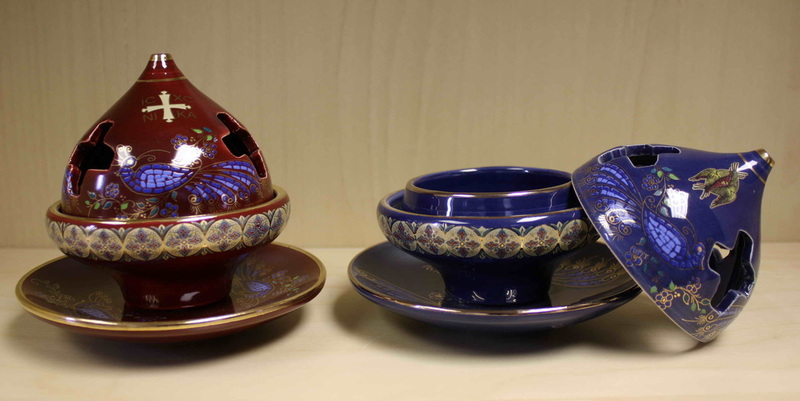 Candle Holder | SKU 802 | $25/ea. 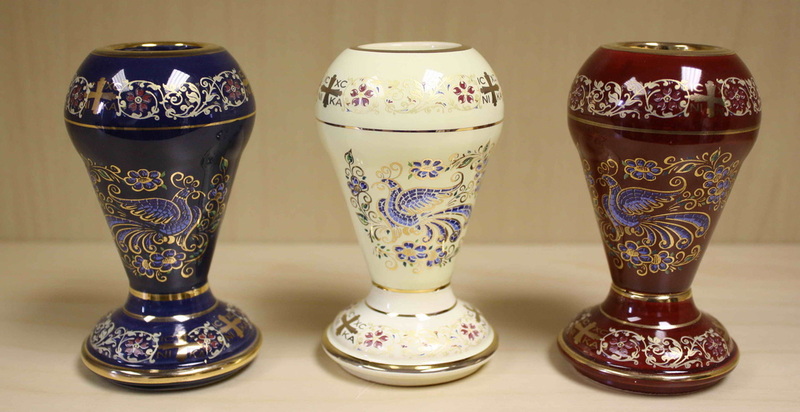 Candle Holder | SKU 302 | $25/ea. 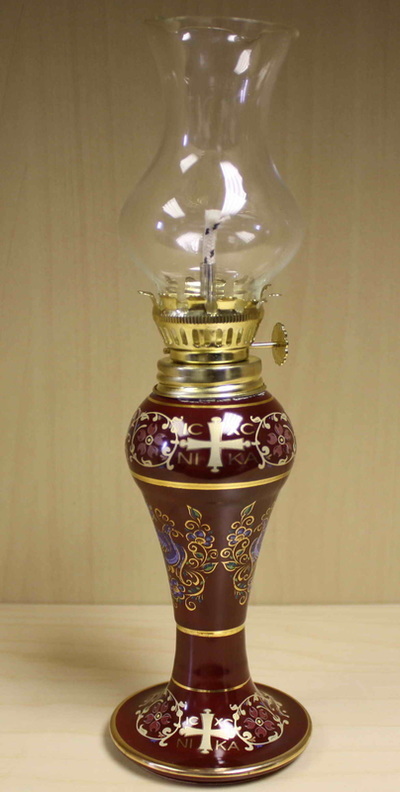 Candle Holder | SKU 202 | $20/ea. Candle Holder | SKU 402 | $25/ea. 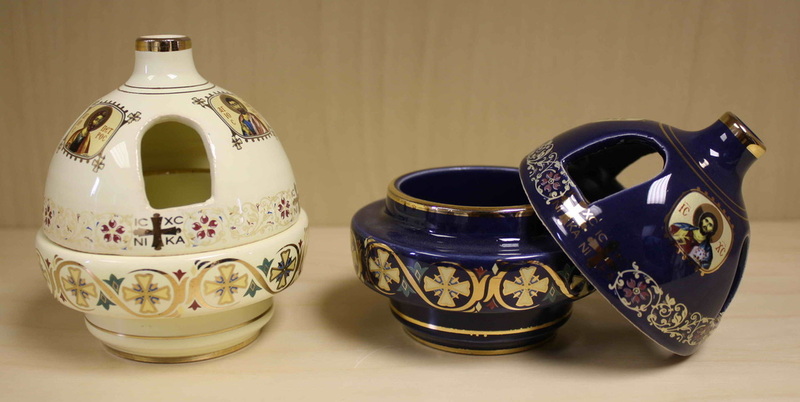 Vases | SKU AN | $25/ea. Vase | SKU 500 | $65/ea. 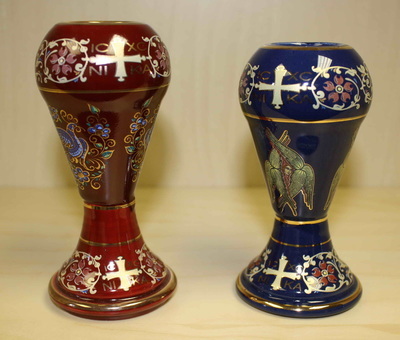 Candle Holder | SKU 203 | $12/ea. Candle Holder | SKU 303 | $15/ea. Candle Holder | SKU 403 | $15/ea. 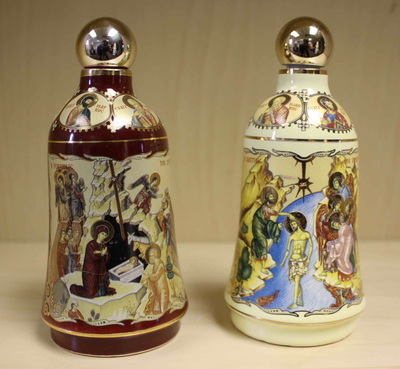 Ceramic Icons | SKU EIK | $5/ea. 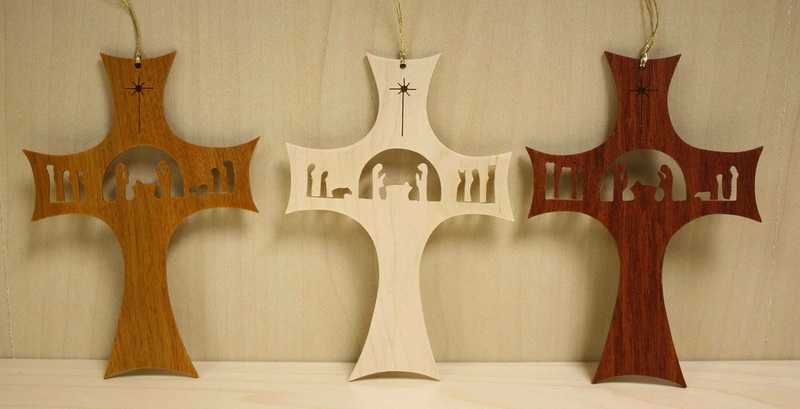 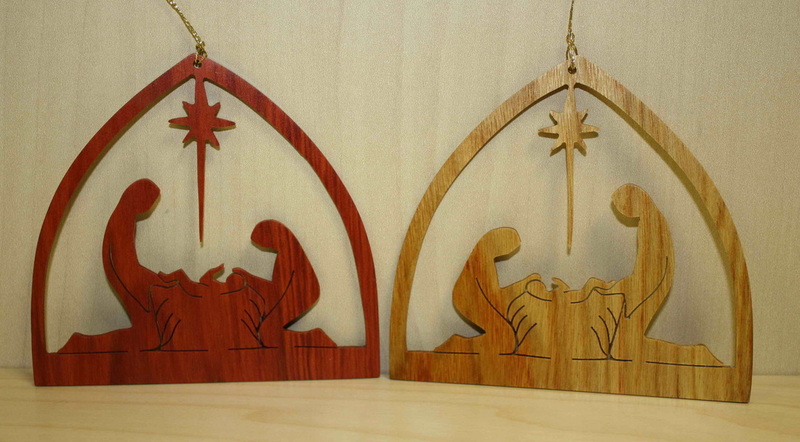 Wooden Christmas Ornaments | SKU XM | $12/ea.